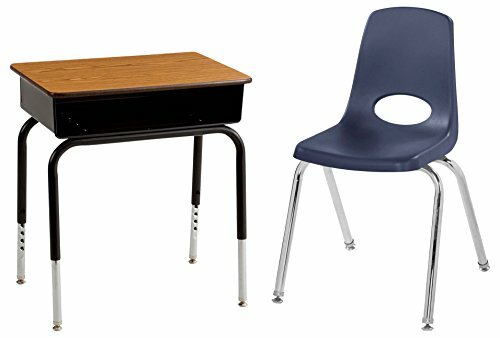 The ECR4Kids Activity Table and Stack Chair set is perfect for the classroom, home or office! The table top features an easy to clean laminate with rounded edges for safety. This activity table come with and is adjustable in 1in increments. This set includes in stack chairs built for comfort and durability. Chairs feature a molded seat with vented back for comfort, reinforced ribbing in back and under the seat for added strength, and steel lower back support. Chair legs are chrome with either ball glides made for durability and protection on carpeted floors, or nylon swivel glides perfect for hard floors.